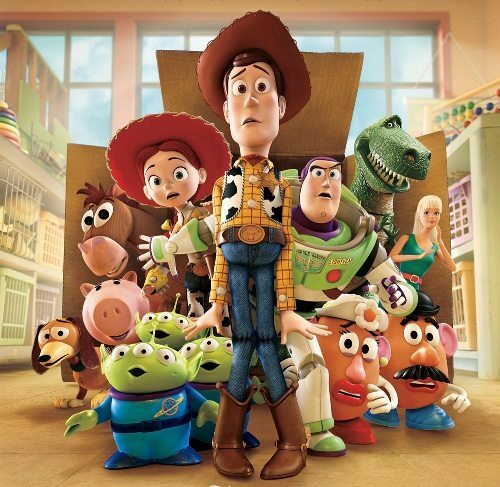 “Toy Story 3” welcomes Woody (voice of Tom Hanks), Buzz (voice of Tim Allen) and the whole gang back to the big screen as Andy prepares to depart for college and his loyal toys find themselves in…day care! But the untamed tots with their sticky little fingers do not play nice, so it’s all for one and one for all as plans for the great escape get underway. More than a few new faces—some plastic, some plush—join the adventure, including iconic swinging bachelor and Barbie’s counterpart, Ken (voice of Michael Keaton); a lederhosen-wearing thespian hedgehog named Mr. Pricklepants (voice of Timothy Dalton); and a pink, strawberry-scented teddy bear called Lots-o’-Huggin’ Bear (voice of Ned Beatty). The stellar vocal cast reunites Hanks and Allen with Joan Cusack as Jessie, Don Rickles as Mr. Potato Head, Wallace Shawn as Rex, John Ratzenberger as Hamm, and Estelle Harris as Mrs. Potato Head, while featuring the “Toy Story” debuts of Beatty, Keaton and Dalton, as well as Jeff Garlin, Kristen Schaal, Bonnie Hunt and Whoopi Goldberg. John Morris, who has provided the voice of Andy since the first film, returns to voice the college-bound teen. Blake Clark is heard as Slinky. Directed by Lee Unkrich (co-director of “Toy Story 2” and “Finding Nemo”), produced by Pixar veteran Darla K. Anderson (“Cars,” “Monsters, Inc.”), and written by Academy Award®-winning screenwriter Michael Arndt (“Little Miss Sunshine”), “Toy Story 3” is a comical new adventure in Disney Digital 3D™. Oscar®-winning composer/songwriter Randy Newman, a key collaborator on the first two “Toy Story” films, is back on board to provide another brilliant score (and new song). “Toy Story 3” is based on a story by John Lasseter, Andrew Stanton and Lee Unkrich. John Lasseter is the executive producer. The story supervisor is Jason Katz, film editor is Ken Schretzmann, production designer is Bob Pauley, and the supervising technical director is Guido Quaroni. The supervising animators are Bobby Podesta and Michael Venturini, and the directors of photography are Jeremy Lasky (camera) and Kim White (lighting). 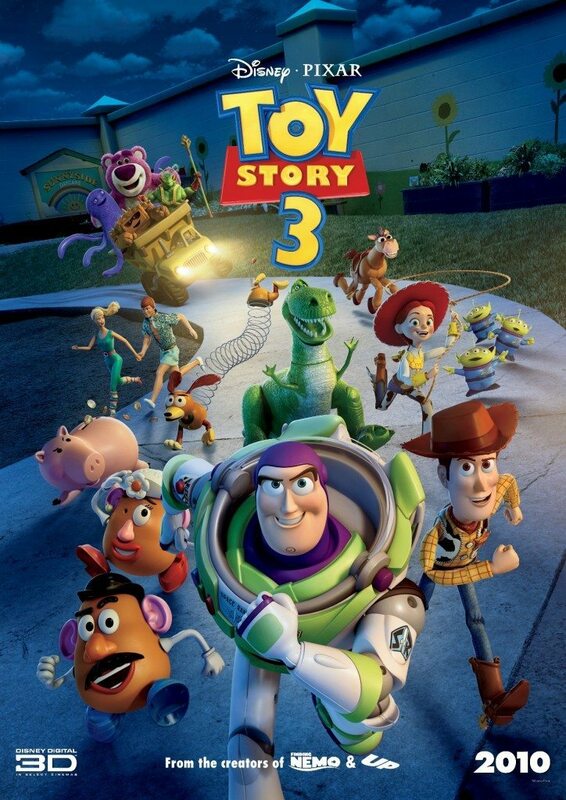 “Toy Story 3” hits U.S. theaters June 18, 2010.